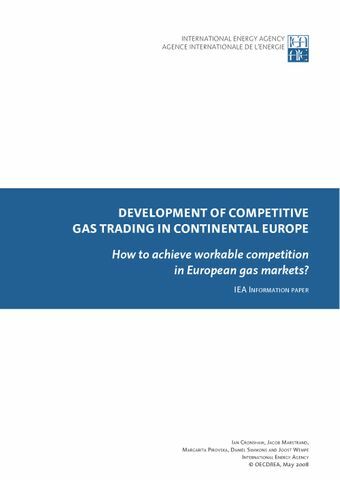 In its latest publication, Development of Competitive Gas Trading in Continental Europe, the IEA examines the history of major gas markets’ development in OECD Europe, and explores the possible expansion of trading through the mechanism of different hubs across the region. Lessons learned from North American markets on the benefits of regulatory convergence and investor-friendly legal framework are an important part of the analysis. Competitive trading based on transparent, non-discriminatory rules in a flexible and integrated European gas market will lead to more efficiency, timely investment, and greater market resilience, therefore ensuring more security for both customers and suppliers in the long term.